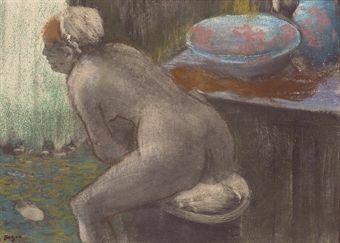 CANBERRA.- The National Gallery of Australia announced today the arrival of the recently acquired pastel by Edgar Degas, Woman bathing (Femme à sa toilette) 1880–85. The remarkable pastel was purchased in late February at the Yves Saint Laurent sale in Paris. It has arrived in time to appear in the final week of the National Gallery of Australia’s current exhibition Degas: master of French art. “Degas is well known as the greatest artist of the pastel medium in the nineteenthcentury. We were lucky to acquire such a high-quality and well-documented work for a reasonable price, and at such a famous auction”, said Ron Radford AM, Director of the National Gallery of Australia. The Yves Saint Laurent and Pierre Bergé collection was an astonishing private collection which these two remarkable aesthetes put together over a 30-year period and which was funded by Saint Laurent’s success in ready-to-wear fashion. 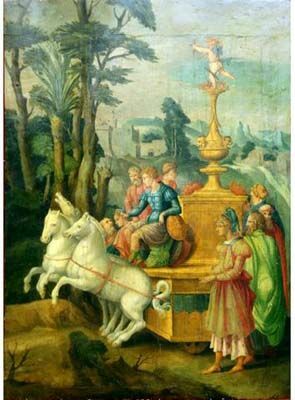 The pastel was the fourth lot in this comprehensive auction of the collection, dubbed “the sale of the century”; this early placement in the auction could have contributed to its affordable price. 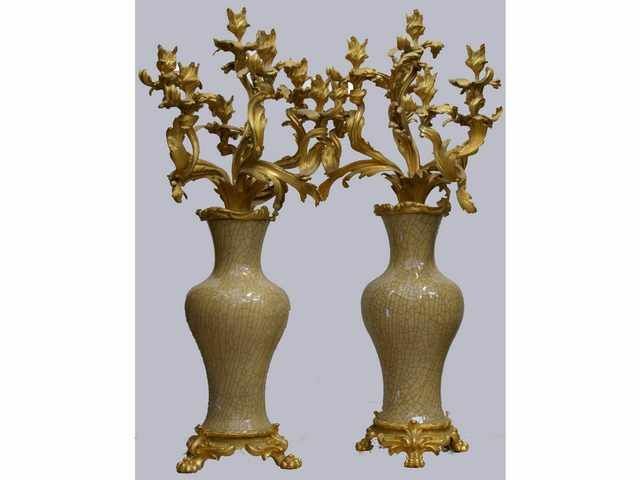 The work originally belonged to the artist’s brother René De Gas and, since then, has been owned by a series of notable collectors in the French art world before being purchased by Saint Laurent and Bergé in May 1987. “The National Gallery of Australia had been looking for an important pastel or large monotype to expand its collection of Degas works on paper. We are thrilled to acquire such an important and daring work at a price we could afford”, said curator Jane Kinsman. At the time of its creation, Degas had become particularly taken with working in pastel. The medium allowed the artist, who was a consummate draughtsman, to emphasise the linear qualities of his compositions and, at the same time, to infuse his subject with colour. 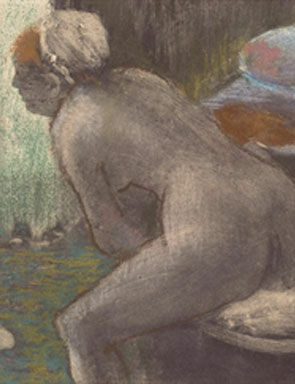 In the 1880s, Degas would often apply the pastel in layers over a monotype, as in the case of Woman bathing. Adopting this method, Degas was able to embellish a silhouette of his bather and her surrounds with brilliant hues of blues, pinks, yellows and browns. The method also allowed him to add texture and patterned detail to his composition. Visitors can see this work as part of the National Gallery of Australia’s current exhibition Degas: master of French art, which is showing in Canberra only until Sunday 22 March 2009.
avec le cachet de l'atelier 'Degas' (en bas à gauche; Lugt 658) - pastel sur monotype - feuille: 31.6 x 41.5 cm. (12½ x 16 3/8 in. )- planche: 27.8 x 38 cm. (10 7/8 x 15 in. )- Exécuté vers 1880-85; le deuxième de deux impressions - Estimate €200,000 - €300,000 Price Realised €553,000 late February at the Yves Saint Laurent sale. Rosalba carriera (venice 1675-1757), portrait of a young child, bust-length, in blue costume.